The Cairo index rose 0.57 percent to 12,310 points this week following the Egyptian authorities’ reassurance to limit impact of a stamp duty on transactions by proposing only a gradual introduction of the tax. Amr al-Garhy told Reuters on Wednesday that he would propose a duty starting at 1.25 Egyptian pounds ($0.08) per 1,000 to the government next week, rising to 1.5 pounds in the second year of implementation and 1.75 pounds in the third. “We are working on not affecting the size or value of transactions in the market,” Garhy said. 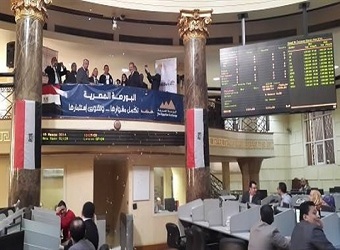 Egypt’s stock market recorded weekly gains worth around 2.82 billion Egyptian pounds ($174.7 million), closing at 603.022 billion pounds during the closing session of Thursday versus 600.157 billion pounds at the end of a week earlier. Mid-and small-cap index, EGX70 fell by 1.38 percent in a week closing at 477 points during Thursday’s session. Price index, EGX 100 dropped 0.98 percent finishing at 1152 points during Thursday’s session. EGX 20 grew 1.07 percent, ending at 11,613 points. During the week, the trading volume hit around 1.061 billion securities, compared to 2.158 billion. For the traded value, it reached 4.9 billion pounds against 10.4 billion pounds a week earlier.